This fall collection was inspired by our local Apple Festival in Greenbluffs, Colbert Washington! 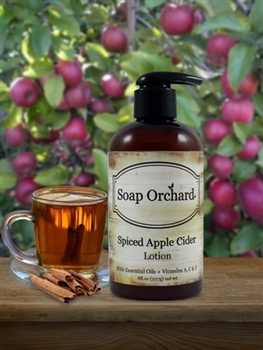 It's scent combination is of fresh apples and juicy oranges blended with spices of cinnamon, nutmeg and clove. And did we mention all the skin packed benefits of apple and cinnamon bark essential oils. Unbeatable! Men love this one too!! Apple Cider is a powerful antioxidant that helps clear skin problems, by regulating skin pH. Apple is full of vitamins A, C and zinc, which are all essential for glowing, healthy skin. Cinnamon is a mild astringent and helps with healthy and glowing skin.